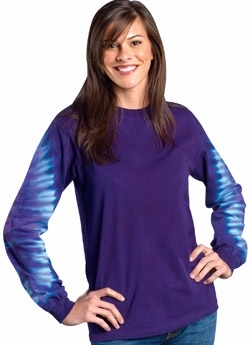 Adult Long Sleeve Gemsleeve Tie Dye T-shirt. 100% cotton long sleeve shirt with a unique gem-sleeve. A hot item! Colors available: Emerald, Sapphire, Ruby, Amethyst.